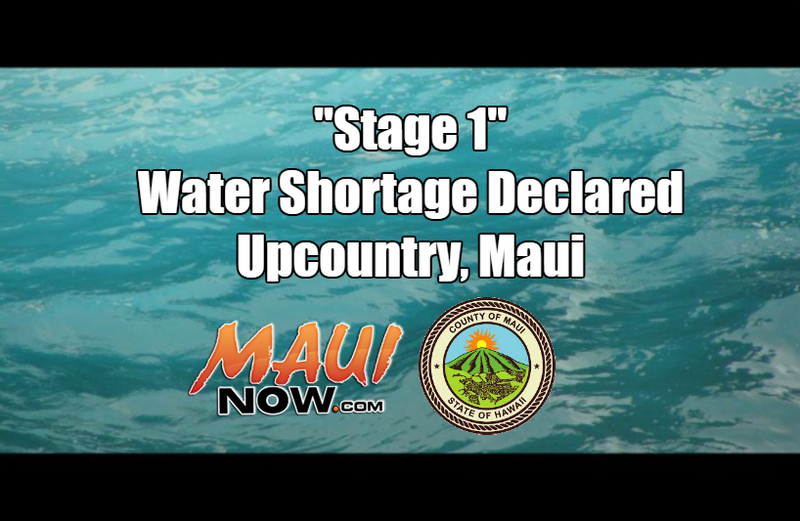 “Stage 1” Water Shortage Declared for Upcountry, Maui. Maui Now image. Kitchen tips: put fruits and vegetables in the sink or in a pan rather than letting the water run; wash a full load of dishes in the dishwasher; and keep a container of drinking water in the fridge. Laundry room tips: wash full loads of laundry; and use an Energy Star washing machine. Outdoor tips: water your lawn only when needed; check the weather and don’t water your lawn if it is going to rain; check the aim of your irrigation system so water is not wasted on sidewalks; and check your garden hose for leaks. Swimming pool tips: install a pool cover; turn down the thermostat; and plant a windbreak. Changes in water taste and/or smell may be detected by some Upcountry customers; these changes stem from a decrease in the flow of surface water in Upcountry ditches, resulting in a decrease in the level of aeration. The slower moving water has become stagnant, resulting in an increase in the existence of two compounds, Geosmin and MIB (2-methyl isoborneol). These two compounds produces a different odor and taste in the water, even after it goes through the county’s water treatment process. These compounds are naturally occurring and are produced by decaying organic material. Water officials say both compounds are not harmful, and the water remains safe to drink. Geosmin produces an odor similar to overturned rich soils and is present in foods such as beets, spinach, and mushrooms. MIB are naturally occurring compounds found in surface waters as organic molecules produced by blue-green algae. The substances are detectable by the human nose at very low concentrations. 1. 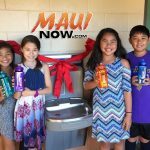 What is causing the taste and odor experienced by some Upcountry Maui County Department of Water Supply (DWS) customers? The earthy or musty taste or odor in drinking water in the Upcountry district is caused by an increase in the existence of Geosmin and MIB (2-methyl isoborneol). These compounds are naturally occurring and are produced by the decaying of leaves and other organic material. Geosmin produces an odor similar to overturned rich soils and is present in foods such as beets, spinach, and mushrooms. MIB are naturally occurring compounds found in surface waters as organic molecules produced by algae. The substances are detectable by the human nose even at very low concentrations, and some individuals are extremely sensitive to Geosmin. Neither compounds are harmful to people. 2. Is the quality of my water affected? While the taste and odor can be unpleasant, Geosmin and MIB are not toxic or harmful. The water remains safe to drink. On-going testing will be conducted to ensure safe drinking water. Current testing continues to show an absence of harmful bacteria and other pathogens in the water. 3. How do I know that my water is still safe to drink? 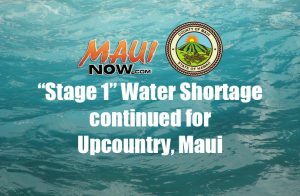 The water supplied by the Department of Water Supply to Upcountry residents continues to meet all Federal and State drinking water standards and remains safe to drink based on on-going water treatment processes and water quality results. 4. What is causing the increase in the levels of Geosmin and MIB? The increase of Geosmin and MIB stems from a decrease in the flow of surface water in Upcountry ditches, resulting in a decrease in the level of aeration. This decrease in the flow of water is due to HC&S stopping its usage of water for irrigation. The slower moving water becomes stagnant, resulting in a different odor and taste for consumers, even after it goes through the county’s water treatment process. 5. Where is the odor and taste occurring? The DWS has received calls from the Pookela, Pukalani, Makawao areas, especially from consumers who live at the end of a cul-de-sac or a dead-end line. 6. How long will the taste and odor last? 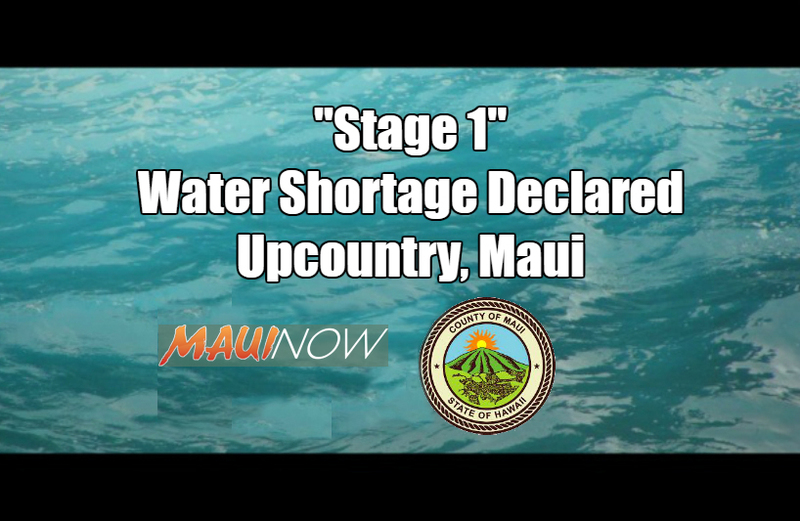 It is hard to predict how long the taste and odor will last; however, the Department of Water Supply is considering all options to resolve this issue. 7. Does Geosmin occur elsewhere? Geosmin is common in many other jurisdictions throughout the United States, Canada and elsewhere in the world. 8. Will Geosmin or MIB negatively impact aquariums? Geosmin and MIB may be absorbed by fish and produce an off-taste or odor. However, it is not toxic to fish or other aquatic life. Aquarium owners can filter their water through an activated carbon filter, ozone or UV system to reduce the Geosmin and MIB levels further if this is a concern. 9. Will Geosmin or MIB affect kidney dialysis or other health issues, such as incisions from recent surgeries? No, Geosmin and MIB are taste and odor compounds. 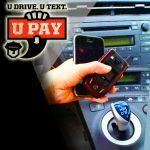 Maui Police Participate in April Edition of "U Text. U Drive. U Pay."